Jim McGough is Co-Founder of EdgeOne Medical, a Medical Device, Diagnostic and Combination Product Development firm that specializes in supporting the regulatory, quality system, project management, and device testing needs of many of the leading pharma, medtech, and biotech firms including five of the top 10 global pharma firms. Jim has more that 25 years of experience as an entrepreneur/intrapreneur/executive at engineering-oriented product or service-based companies including Motorola, Audi, and Citibank. He has led teams that have developed innovative solutions to longstanding issues in those industries by leveraging emerging technologies. For example, as head of Marketing at Audi of America Jim championed the development of the first seamless Bluetooth connection between a smart-phone (the Palm Treo 650) and an automobile (the Audi A6) in the industry. 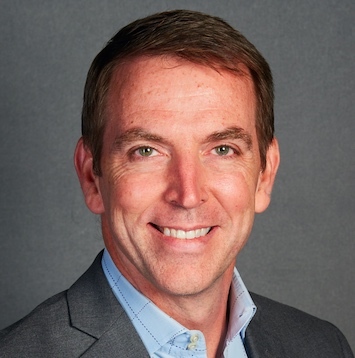 Most recently Jim has served as President/CEO, Board Member, or Advisor for several early stage private equity funded companies in the Mobile Phone, Big Data, Connected Health, and Medical Technology industries. He is a Principal Advisor in the NIH Commercial Acceleration Program to Medical Technology and Health IT ventures and also is a Strategic Advisor to the Digital Therapeutics Alliance. He has a Bachelor of Arts in History from the University of California-Berkeley and Master in International Management from the Thunderbird School of Global Management.